In Sanskrit, the ancient language of India and Hindu scriptures, the word “mudra” means “closure” or “seal.” When it comes to a yoga practice, mudras refer to hand gestures and positions that you might take. Think “peace sign,” but with more significance for your yoga practice and energy flow. Why Do Yoga Classes Use Mudras? While mudras are never a requirement for a yoga class, many yoga teachers offer up mudras because they can add dimension and balance to a yoga practice. Traditionally, mudras are thought to direct the flow of energy within your body. 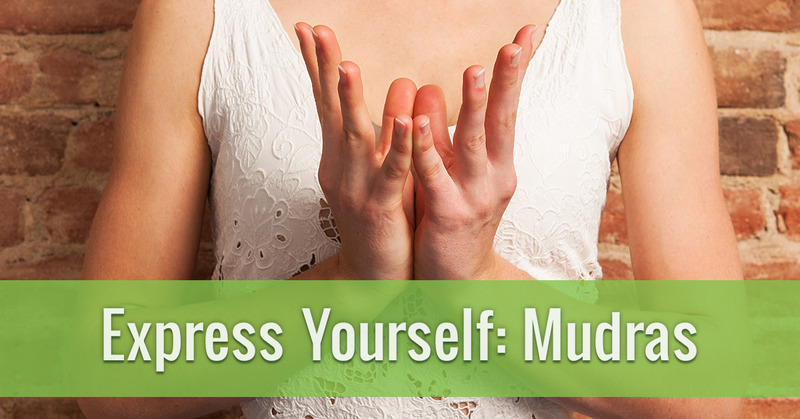 Depending on the mudra, you connect to areas of your body and brain and move energy mindfully from one to the other. Does this sound a bit too weird or mystical? Mudras certainly relate to the more ancient, traditional side of yoga, but they also have explicit purpose and benefits for our modern practice. In their most basic form, mudras are yet another way we can connect body, mind, and spirit during a yoga class. They add a layer of intentionality to a pose, and can be a fun way to change up a yoga practice! What are the different mudras? According to a Yoga Journal article on yoga mudras, there are at least 14 different mudras you can take as you practice yoga or as you meditate on your own. We will delve into three of the most common mudras that you might see during a yoga class. Chin Mudra is the mudra you most commonly see if you Google, “yoga.” You take the mudra by connecting the tips of your index fingers to the tips of your thumbs, placing your palms up to receive energy. The mudra enhances energy, calms down the mind, and contributes to overall joy and happiness. We know this might sound the same as having a tin can that somehow solves the problem of world hunger, but there really is a value to mudras. The next time you’re in class, try taking chin mudra during easy pose (a comfortable seat) toward the beginning of practice, and see how it changes your experience! If you have a dedicated yoga practice, you’ve probably performed anjali mudra hundreds of times, perhaps just without having a name for it. Anjali mudra involves putting your hands together in a prayer position, keeping a small space between both palms. Anjali mudra allows us to honor our yoga practice and stay grounded in the present. Traditionally taken before saying “namaste,” this mudra connects to humility and inner peace. Also referred to as “steeple grip,” kali mudra involves interlacing your fingers and extending your index fingers outward. The mudra, connected to the hindu goddess of strength, adds power to our postures. Instead of retreating inward, the mudra forces us to extend outward and show strength, courage, and truth. 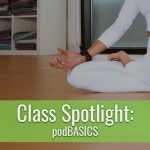 If you are interested in mudras and other ways to add dimension to your practice, Yoga Pod Boulder can support your journey. Consider signing up for teacher training for the ultimate extension of your practice, check out our other studio workshops, or sign up for $30 For 30 Days of unlimited yoga!